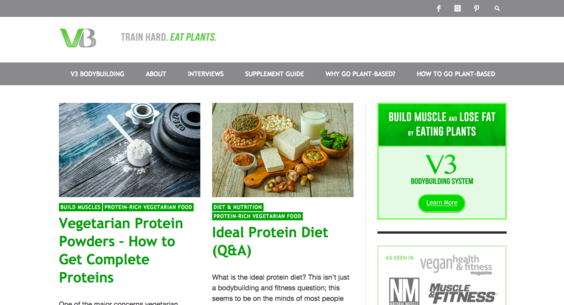 VegetarianBodybuilding.com — Website Sold on Flippa: Plant-Based Fitness is reshaping bodybuilding into a healthier lifestyle. Plant-Based Fitness is reshaping bodybuilding into a healthier lifestyle. VegetarianBodybuilding.com is a fitness & nutrition blog for vegetarians, vegans, or anyone who has the desire to eat more plants and less meat.